The role of exercise motivation and three ways to keep you inspired at a peak level. Maintaining an exercise commitment on a continuous basis can be tough. Sure it might not be terribly difficult to get off the couch and go running once or twice a month, but what if you want to truly focus on fitness and get into much better shape? To accomplish this, you will definitely need to stick with an exercise plan 4-6 times per week and this is where the need for motivation comes into play. Simply put, if you aren’t really motivated to achieve your goal, how can you expect to stick with your plan after the first month or two? If you aren’t inspired to continually fuel your fitness fire, then your efforts may be short-lived and your goal never accomplished. 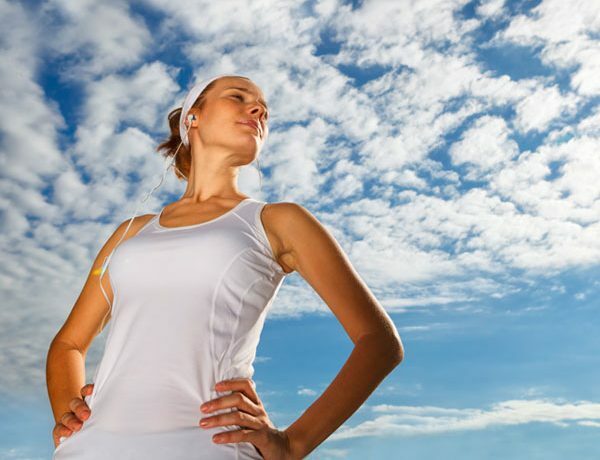 Therefore to help arm yourself with some motivational weaponry, here are three ways you can give yourself an immediate adrenaline boost to help you stay true on your path towards a healthy, fit life and with your exercise motivation. Having a motivational exercise/fitness board at home can be your number one spot where you derive all your inspirational juice. In a nutshell, this exercise/fitness board can be put in your home wherever you feel would be the best place to keep this in constant sight. On this board not only should you put a monthly calendar where you can keep track of when and how often you workout, but also any quotes and pictures you find inspirational. It’s also a good idea if you purchase a board that has a cork portion and dry-erase section to put both those parts to good use. You can even use post it notes and on each one write down the number of pounds you want to lose. Each time you lose another pound, put a large X directly over the number for additional visual stimulation. The more time and energy you devote to creating this motivational space on your bedroom or bathroom wall, the more inspired you will be to stick with your exercise plan and in turn get into better shape. One of the best ways to kill your exercise motivation is to do the same repetitive thing over and over again. That’s the number one way to allow boredom and irritation to creep into your mind in regards to exercise. Guess what will soon happen next if nothing changes? Yep, abandoning the exercise commitment altogether and electing to find an unhealthy option take its place. Instead of letting this happen to your marvelous healthy agenda, diversify your exercise activities and you will stay motivated to stick with your wonderful plan. Another great way to keep yourself motivated on an exercise plan is to set short-term goals for yourself. This is especially helpful if you have a hefty overall goal you are trying to achieve, for instance trying to lose 100+ pounds. Attempting to take on that goal at the onset can feel overwhelming, particularly if after one week of eating healthy and exercising you step on the scale and learn you lost a mere pound. This can cause an individual to start thinking about the length of time this whole endeavor will take and this type of negativity is exactly what will not help when it comes to much needed motivation. Set a short-term goal you can write directly on your motivational board calendar. For instance you will not eat fast food for two weeks, no soda, and workout 4-5 times per week. If you reach this mini-goal, treat yourself to something nice, preferably not something edible. Afterwards, review how the last two weeks went, revise your plan, and set another short 1-2 week goal to strive for. Breaking down your overall goal into more manageable potions will give you an immediate sense of gratification and inspire you to trek on forward. Don’t forget to keep track of your weight loss progress on your calendar either. Just one more benefit why a motivational exercise board can work wonders for your inspiration.